Alpacas belong to a group of animals known as camelids (other camelids include: llamas, vicunas and gucinacos as well as camels). Originally from South America, the alpaca was domesticated by the Incas and played a large part in the Inca economy providing meat and fleece. The first alpacas in the UK were seen in zoos rather than on farms. 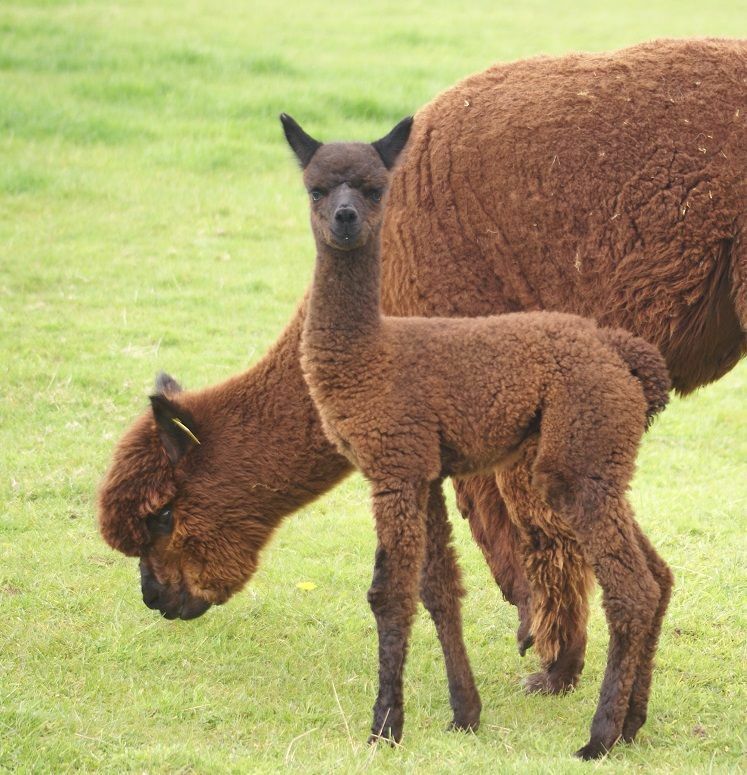 However, the alpaca has become increasingly popular in this country over the past 20 years or so with more alpaca breeders appearing each year. This said, numbers are still relatively low (approx 30,000) and the vast majority of breeders have emerged within the last 10 years. Alpacas weigh between 60 and 80kg and reach 75-95cms at the shoulder. Alpacas usually live to between15 -20 years of age. A female will commonly breed for most of its life. First becoming pregnant at 12-24 months and frequently breeding without problem until the age of 13-15 years. Alpacas usually give birth in the morning or early afternoon, but evening births are not uncommon. Night time births are unusual and commonly indicate some kind of problem. Alpacas rarely spit at humans. If they do it is usually only under severe provocation. Alpacas all have their individual personalities. 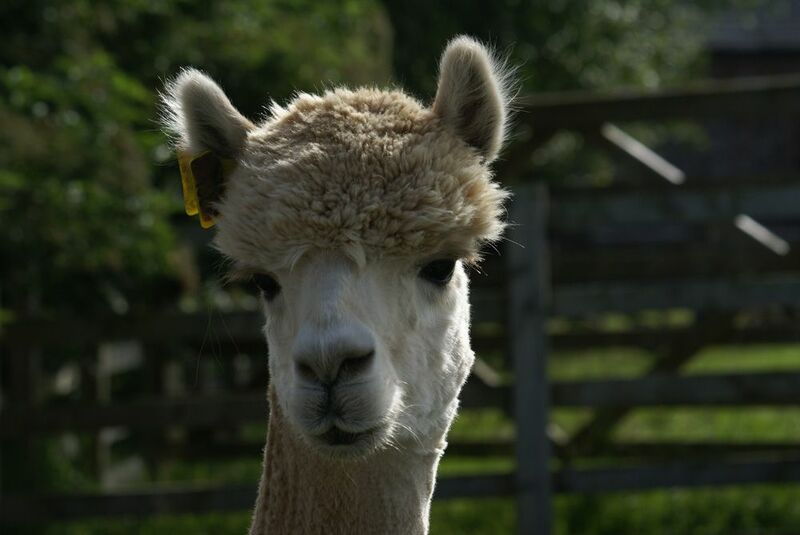 Here at Beck Brow we know all of our animals by name, and are familiar with the distinct characteristics of each alpaca. Alpacas are friendly by nature and will endeavour to maintain a peaceful environment where possible. Regular contact with your alpacas increases their trust in you, and consequently your enjoyment of them. Alpacas are relatively easy to halter train. They are naturally inquisitive and most enjoy the opportunity to explore when led, especially if accompanied by a chum. However, unlike the llama they are not pack animals. Alpacas are shorn annually and on average will clip between 2.5 kg and 5 kg each year. 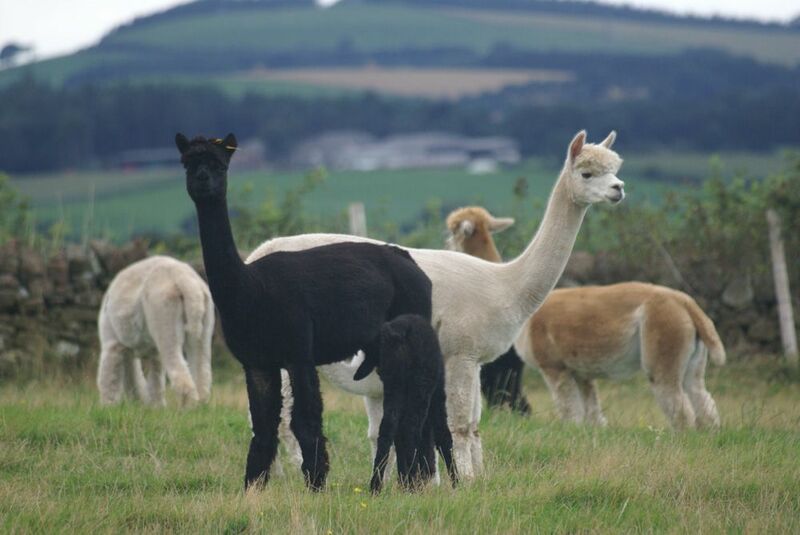 Alpacas are recognised in 7 different colour groups with 22 natural shades. Alpacas are not part of the food chain. Therefore they do not require passports, nor do they fall under the DEFRA movement restrictions. The majority of the alpacas in this country are registered with the British Alpaca Society. The society not only works at ensuring the quality of the national herd is maintained, but also sets high standards for alpaca health and welfare. We would strongly recommend that only registered alpacas are purchased.